Did you wear any of these? Before we welcome the new year, let’s look back at some of the top fashion trends we all went crazy for in 2017. The thinner version of the perennial white and blue stripes was the linear sensation this year. It was absolutely everywhere. Gingham in all colors and styles (even bikinis) was one of the go-to prints since summer. From tassels, heavy beads, and bee-magnet florals, statement earrings win gold in the accessory department this year. The stars paraded the asymmetrical style from the streets to the red carpet. The patchwork Gucci sneaker was one of the big footwear trends this year. 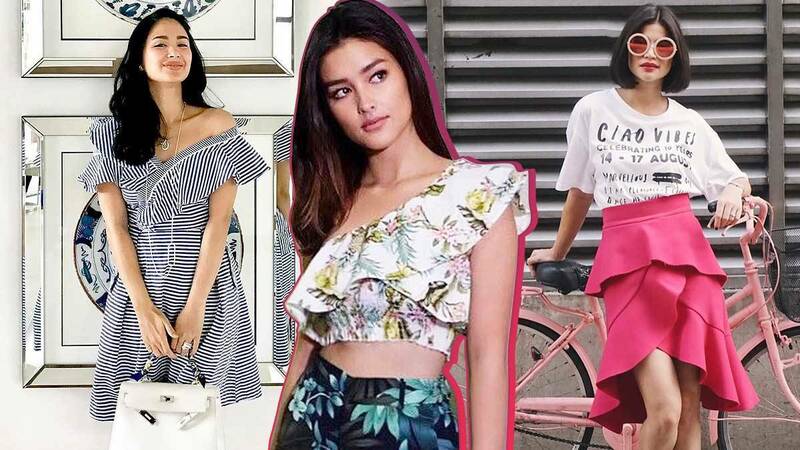 Both male and female stars were spotted wearing various versions, for their weekend OOTDs and travels. Definitely the standout cool hue of the year. Feminine ruffles were everywhere, from flouncy tops to wrap skirts in all prints and colors. Slides and flat mules FTW! Definitely a trend we still wish to see this 2018. From Bella Hadid to our local celebs, sailor, nautical, and newspaper boy caps win the hat trick.